Should I buy an electric motorcycle? The temptation to go electric is greater than ever. But would an electric bike work for you? Here’s our take on the current pros and cons of all things electric. Electric-powered two-wheelers, whether motorcycles or scooters, have been touted as the next big thing for the best part of a decade. However, while electric cars and hybrids are slowly growing in popularity, electric two-wheelers are still largely conspicuous by their absence. How good are the latest electric motorcycles, and should you consider buying one? There’s no doubt electrically powered vehicles, both two and four-wheeled, will continue to grow in popularity. With low emissions zones in our cities, Formula E racing on TV, the TT Zero event on the Isle of Man, grants and subsidies from central government, and an ever-growing choice of electric vehicles from ever-more mainstream manufacturers, the temptation to go electric is greater than ever. But would an electric bike work for you? Here’s our take on the current pros and cons of all things electric. What are the financial pros and cons? • Government grant assistance towards the purchase of a new electric vehicle. For electric cars, this is currently 35%, up to a maximum of £2,500 or £4,500 depending on the model. For bikes, it’s currently 20% of the cost, up to a maximum of £1,500. • Negligible fuel cost. In place of a £15 tank of fuel, a typical electric two-wheeler costs around £1-2 to fully charge for an average 80-100 mile range. • Zero road tax (by comparison petrol two-wheelers up to 150cc cost £17pa, 151-400cc cost £39pa, and 401-600cc £60pa). • Current electric two-wheelers remain expensive, even when the government grant is taken into consideration. 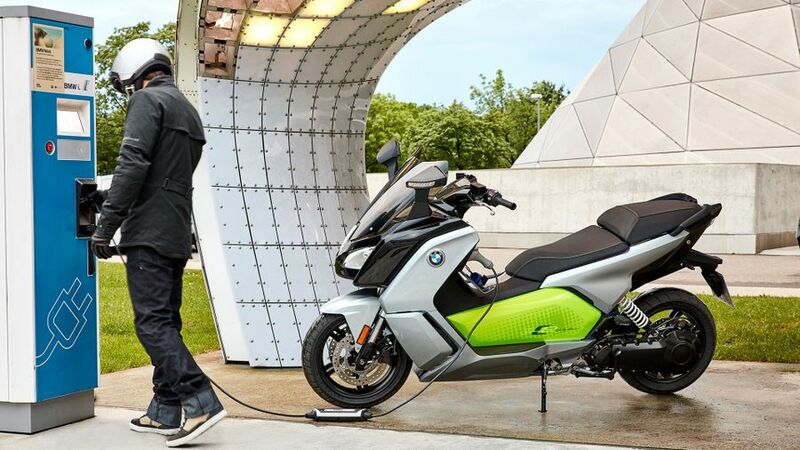 BMW’s C-Evolution electric maxi-scooter, for example, currently costs from £13,500 new, or £12,000 including the grant. BMW’s petrol equivalent, the C650 Sport, costs from £9,600, or £2,400 less. At that rate, you’d have to do more than 25,000 miles before the fuel saving compensated for the purchase price. • Insurance can be more difficult to obtain, and pricier, like-for-like, as electric vehicles are less common and more expensive. • Residual values are also suspect. The high initial price and a small market with grants not available for used buys means secondhand values aren’t great. With so few bikes currently out there, it’s difficult to be accurate. Looking at BMW’s C-Evolution as an example, just three used examples are currently being advertised, all from BMW dealers. All are virtually as-new, but priced under £10,000, over £3,500 less than the RRP. For starters, it depends on what you want your two-wheeler for: a practical commuter; a fun, dynamic machine; or perhaps, a mix of the two? As a relatively short-range commuter, electric bikes have a lot going for them, especially in scooter form. They’re easy and familiar to ride, relatively clean, and cheap to run. However, because of the size taken up by the battery, their underseat luggage space is usually reduced, and you need to factor in how easy and convenient recharging at home and work will be. 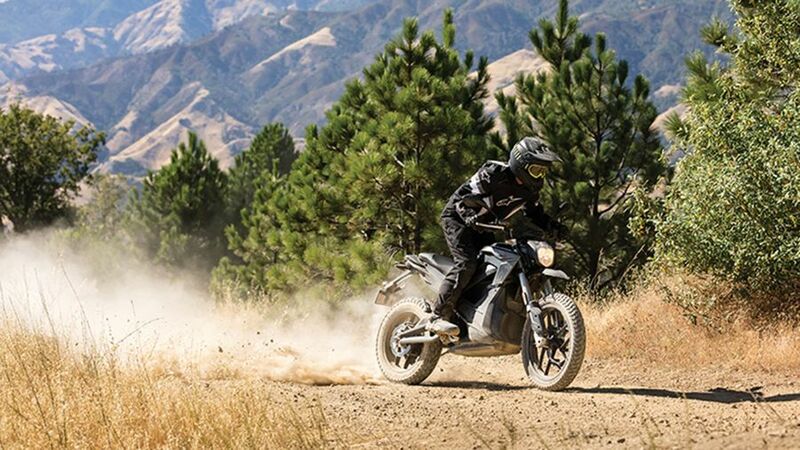 As a more conventional motorcycle – such as the Zero – it’s more complicated and a much more foreign experience. Although performance is respectable, with masses of torque, no gears, and a twist ‘n’ go silent operation, the electric experience is very different to petrol power. The appeal, for many, in what is very much a traditional, enthusiast, market, where twiddling with spanners and oil is part of the attraction, has proved limited. Until an affordable production machine with more appealing dynamics, 140+mph, and 140-mile range comes along, the appeal is likely to remain limited. The main exception to this is off-road. 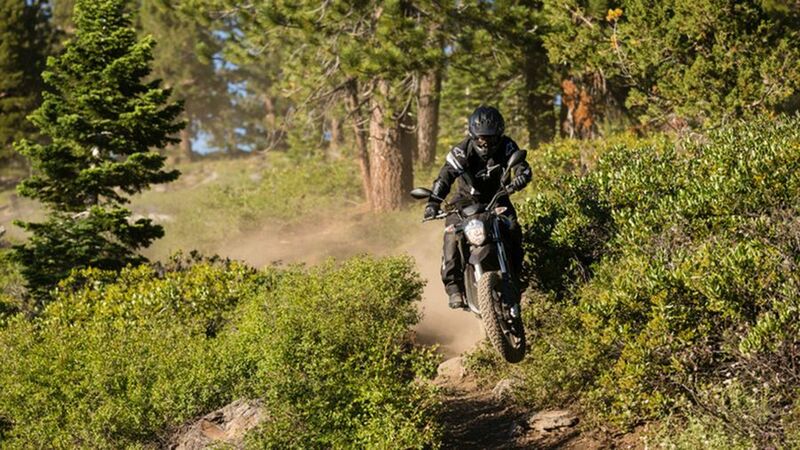 With noisy dirt bikes barred from many potential riding locations, clean, silent machines such as the KTM Freeride-E and Oset are proving increasingly popular. Along with concerns about range and expense, charging is the main factor that puts potential buyers of electric vehicles off. At home, things are slightly inconvenient for two-wheelers as you can’t do it on the street or on your drive. Your best bet is to do it in the backyard or in your garage, if you have one. Many electric bikes now come with a standard household three-pin socket, but some use CEE or other types which can speed up the charging proces. A four-hour period to fully recharge is typical. Away from home, it becomes more complicated. The major positive is that most towns, cities, and many employers now offer charging points for electric vehicles. These can be located via apps or websites such as www.zap-map.com, which currently identifies more than 4,000 locations in the UK, with well over 5,000 charging points. On the downside, they’re fewer and further between in rural areas. Most of these devices have standard three-pin connectors, and you pay by swiping an RFID (Radio Frequency Identification) card, which you can link to your bank account. If you charge your bike at work, the charge time shouldn’t be an issue. That four-hour wait could be a problem elsewhere, though. It does depends a little on the machine, but it’s something most manufacturers are keen to reassure buyers about. Zero, for example, offer a standard two-year warranty, but an extended five year one on its Power Pack battery, which is the same as BMW offers with its C-Evolution. That said, most machines are still so new and little used it’s difficult to know what a good warranty would be. 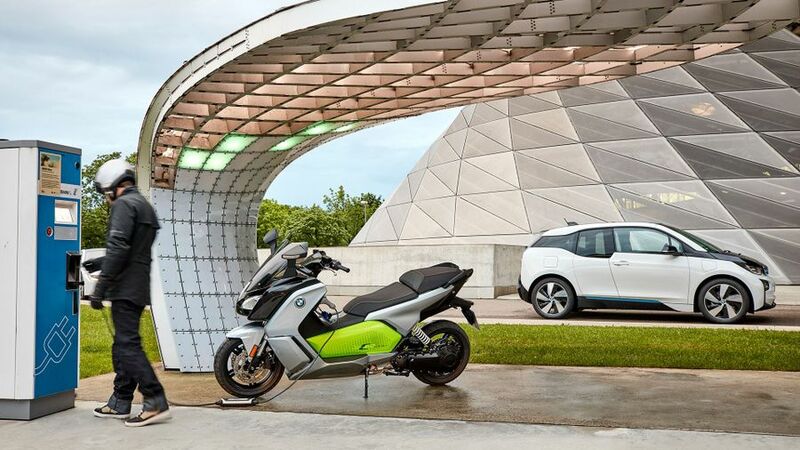 Electric vehicles may be the future, but it’s still early days, particularly in motorcycling, which is lagging behind electric cars both in terms of popularity and choice. 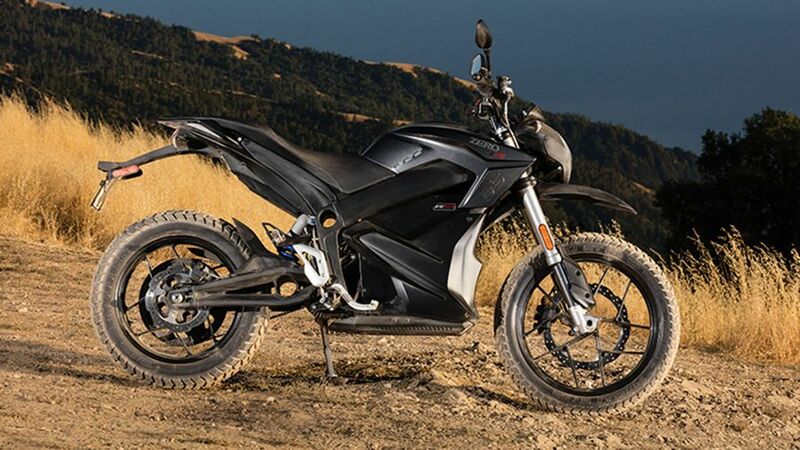 Part of that is because the overall motorcycle market is much smaller, but it’s exacerbated further because the advantages electric bikes offer over conventional ones are far less than the advantages electric cars offer over four-wheelers. Two examples: electric cars qualify for a greater government subsidy than bikes and are exempt from the London Congestion Charge. By comparison, petrol, 125cc scooters such as Honda’s Forza 125 are very economical and already exempt from the Congestion Charge. And if the appeal of an electric scooter over a conventional one is limited, it’s even more the case with electric motorcycles. Most motorcycles are bought by enthusiasts who love internal combustion performance. Many motorcyclists are also traditionalists – now in their 40s or 50s – who want familiar controls and mechanisms. If you add the fact that most electric bikes are also expensive and/or overly heavy, it’s difficult to argue a case for their appeal, except to those who want that sort of innovation. These factors are certain to change over time, with electric bikes becoming faster, more engaging, more practical, and cheaper, while at the same time, petrol prices will continue to rise. 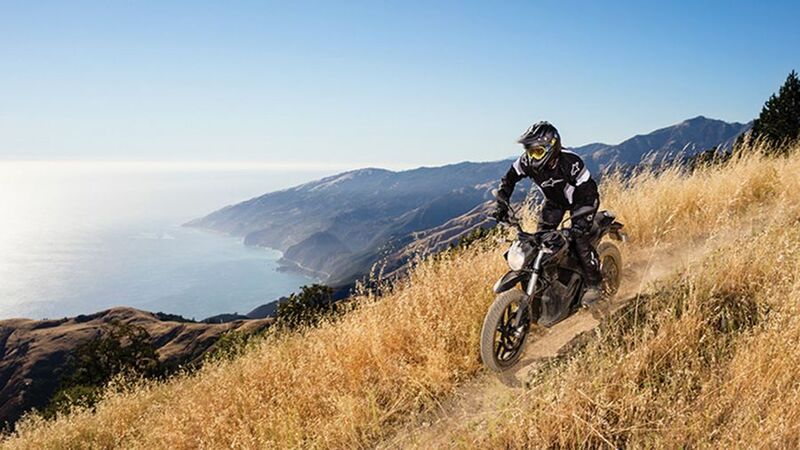 Until then, however, the most appealing electric motorcycles are off-roaders such as the Oset and KTM Freeride-E. Looking to buy an electric motorcycle or scooter?